Forget the energy industry. Marijuana appears to be the fastest-growing job sector in the U.S. 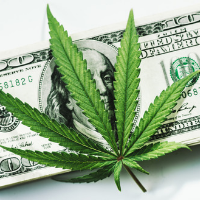 The U.S. added 64,389 full-time legal cannabis jobs in 2018, according to a new report from the cannabis website Leafly and the consultancy Whitney Economics. That represented a 44% increase in total positions, which rose to 211,000. And that's not counting jobs indirectly related to the marijuana industry, like lawyers, accountants, security consultants, media companies, and marketing firms. With those included, the report said, there were 296,000 payrolls in the sector last year.